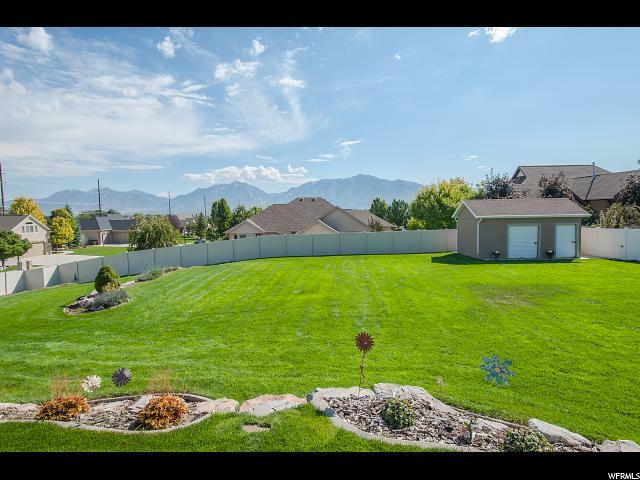 All JORDAN FARMS homes currently listed for sale in South Jordan as of 04/24/2019 are shown below. You can change the search criteria at any time by pressing the 'Change Search' button below. "Highly sought after subdivision in Jordan Farms, corner lot Rambler with 6 bedrooms, upgraded gorgeous Kitchen with double ovens ,granite, Huge Island in center for gathering. Main floor Fireplace, .48 lot with covered patio, faces west, two door (12x20) storage in backyard. 3 car garage with workshop and RV parking for lots of toys. Close to some of the best retail on the west side and quick access to Mountain View Corridor and I-15 FWY. Don't miss this one! Square footage figures are provided as a courtesy estimate only and were obtained from a previous MLS. Buyer is advised to obtain an independent measurement."